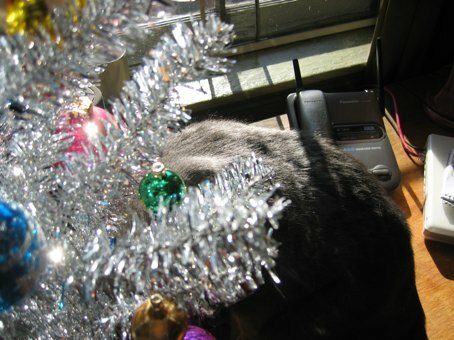 Stacy Horn » Blog Archive » See What I Mean About Cats and Trees?? 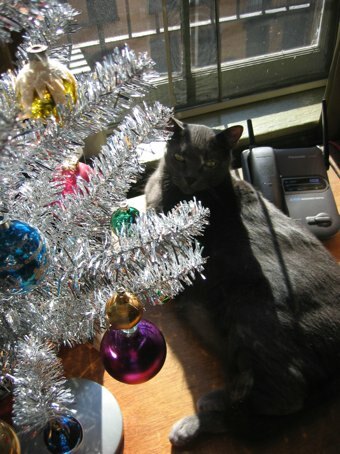 See What I Mean About Cats and Trees?? What’s this? Is this a Christmas tree I spy? Hey. I’m just sitting up here. Do you see me even looking at the tree? 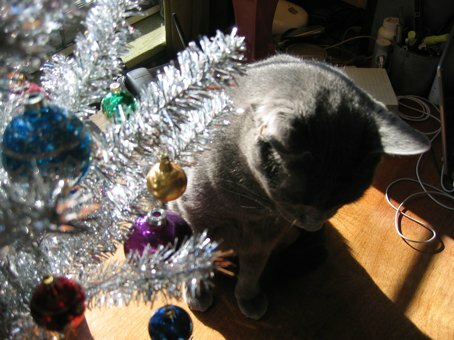 Buddy disappears into the tree, several ornaments die. Too cute!! Meowy Christmas from Fenster, Charlie, Miles, and Princess Calhoun!! Cheers!